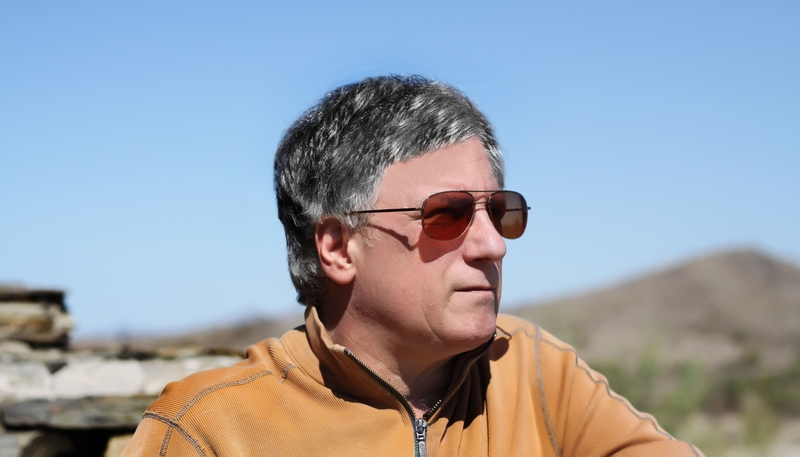 Frank Fiore is a bestselling author with more than 50,000 copies of his non-fiction books in print. He has now turned his talents to writing fiction. His first novel is the five star rated cyber-thriller titled Cyberkill. This was followed up with the five star rated three book series titled the Chronicles of Jeremy Nash. His latest work is a book of speculative and Sci-Fi short stories titled The Oracle. Please tell everyone a little about yourself, Frank. Frank: I’m from Brooklyn, New York. I wrote “To Christopher” under the guise of a book to my young son that leads the reader through social commentary, personal experience and entertaining stories, which take the reader on a thoughtful journey through the challenges and opportunities facing the next generation. My writing experience also includes guest columns on social commentary and future trends published in the Arizona Republic and the Tribune papers in the metro Phoenix area. Through my writings, I’ve shown an ability to explain, in a simplified manner, complex issues and trends. Frank: In high school. I started a novel but never finished it. Then one summer while in college I did finish a complete Sci-Fi novel. I still have it. It was derivative and not very good. Frank: Number one – I want to be a noted author with a following. Not get rich, necessarily – which would be nice – but to know that what I have written has entertained my readers and perhaps informed them at the same time. Frank: It’s called The Oracle and consists of a series of short stories tied together by means of a background story – a story within a story (similar to Ray Bradbury’s Illustrated Man). And like the Jeffrey Archer and Twilight Zone stories, the Oracle short stories are written with surprise endings. The background story begins with a young musician on his way to Phoenix from Los Angles for a concert. He is given a car by his manager and shortly after entering Arizona it breaks down. Out in the middle of nowhere he decides to hitch a ride to the nearest town for help. While waiting for a ride, the weather turns inclement and he seeks refuge at a ranch house inhabited by an old and lonely couple. They invite him in and persuade him to stay for dinner. After eating, they retire to the living room. After a while, the old woman offers to show their guest some of their three dimensional slides on their old-time stereoscope. Being polite, the young man decides to endure the request. His hosts carefully remove a set of slides from a shiny metallic box from under the coffee table and place the first one in the stereoscope’s viewer. They instruct the young man to hold the stereoscope up to the living room lamp and focus it towards the viewer.When the viewer is focused and the light hits the slide, something amazing happens. The still 3D image begins to move! The first image he sees tells a tale that happens to be one of the short stories in the series. At the end of the first story, the young man turns to question his hosts on this wonderfully strange device. The couple just smile and offer him another slide. He asks again what the device is and where did it come from. The couple respond that the device is an ordinary stereoscope of the early 1900s that they purchased from a Sears catalog many years ago. But the slides – ah yes, the slides. That’s another matter indeed. Frank: The main overall story and the all the short stories end in a twist – like the old Twilight Zone episodes. Some stories are meant to shock while others are whimsical. Either way, the endings are not predictable. Frank: Many years ago, I started collecting ideas for my novels. I created file folders for each proposed story I would write. As I found any and all material that fit the story line, I would drop it into the assigned folder. This would include websites, books, news items, magazine articles, videos, etc. etc. This process has worked well for me in helping develop my stories. Frank: I’ve completed five novels and currently doing research on a sixth novel. I have at least three more in the hopper. Frank: Plot. Plot. Plot. Without plot characters have nothing to do. Plot first then develop characters to drive the plot. And in the process, SHOW don’t TELL. Frank: A fellow popular author colleague of mine. Write, write and write. Create a back list of books. If one takes off, readers will flock to your other books. The more books you have in the marketplace the better return on your writing time when your first book becomes popular. Then Tom Clancy – yeah, that Tom Clancy – told me to don’t suffer over a book. Complete and go on to the next one. Frank: I’m from Brooklyn, New York. A Brooklyn boy gets right to the point and in a way that communicates quickly and efficiently. You would know this if you ever spend time around New Yorkers. So that’s how I write. Conversationally without long boring narratives. 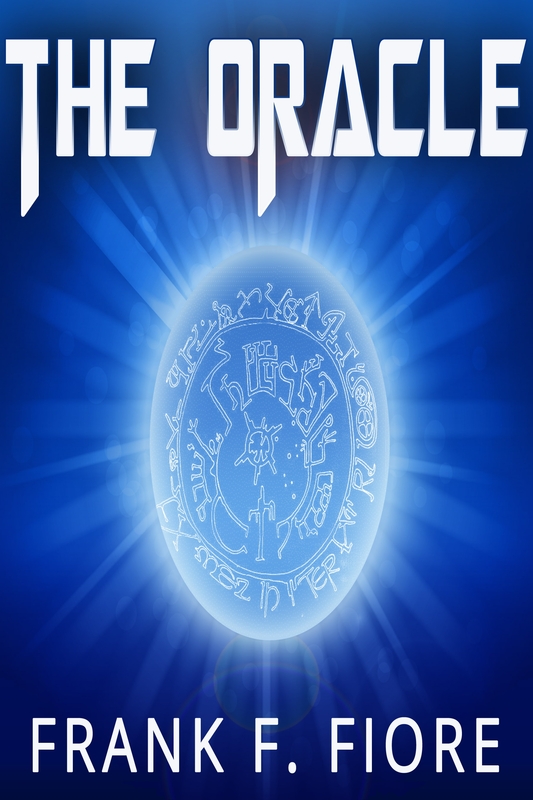 If you want a quick entertaining read, then the The Oracle fits that bill. Frank: This is for the Chronicles of Jeremy Nash. Frank: I’ve just finished my fifth novel. It’s called Murran. I expect this to be my breakthrough novel because it is steeped in politically incorrect controversy. It is getting very good reviews from my beta readers. Murran is the story of a young African-American boy named Trey coming of age in the 1980s, and his rite of passage to adulthood. Trey is a member of a ‘crew’ in Brooklyn and is enticed into helping a violent drug gang. He is eventually framed for murder and flees with his high school teacher to his Maasai village in Kenya. There, Trey learns what a true Black African and African culture is, goes through the Maasai warrior’s rite of passage, becomes a young shaman, and returns to America to confront the gang leader that framed him. Thank you for joining us today, Frank. Frank: Thanks for the opportunity. Larry Constantine is a professional member of the Science Fiction and Fantasy Writers of America and the author of a number of science fiction short stories. 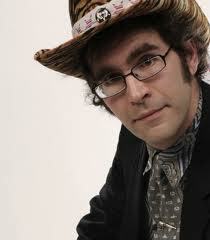 He writes thrillers under the pen name, Lior Samson. Please tell everyone a bit about yourself. Larry: The older you get, the harder it is to be brief, to condense the lifetime journey into a paragraph or two in a biographical sketch. In your twenties, you pad the resume; by your forties, the thing stands on its own; by the time you are looking back at your sixties, radical compression and redaction are in order. What’s important, what irrelevant? What’s of interest? What is a boring distraction? I tell my students at the university where I teach that I am not a real professor but that I am a real industrial designer. Both parts are true — in part. What they reveal is a complexity hidden behind brevity. I have been a pioneer in software engineering, in family therapy, and in interaction design. I divide my time between Europe and the US. I am deeply entrenched in academia and in industry and fully belong in neither. I am a novelist. I write under a pen name, but my official identity is no secret. I do most of my writing evenings and weekends in my apartment near the University of Madeira. My loving wife and kids put up with my long absences. I love to cook. I am a composer and would write more music if I were not so busy writing novels. Larry: I have been writing professionally all my adult life, but nearly all of that was technical non-fiction. I was good at it — even won awards — but I can’t say I enjoyed it all that much. I really started writing with passion and pleasure when I began work on my first novel, Bashert. I have never been one to color within the lines, so, although my novels are nominally in the thriller genre, they frequently break out of the boundaries of genre conventions. My forays into fiction actually began decades earlier with science fiction short stories and a couple of novellas. Those earlier works have been republished in Requisite Variety, which takes its title from my last published SF short. My recent novel, The Rosen Singularity, might nominally be called near-future science fiction, but it violates the terms of engagement that SF readers expect and is probably more literary thriller than SF. Larry: If I had wanted to be a preacher or rabbi, a long-form journalist or a self-help guru with a message, I would have taken a different path. So, no, I don’t have a message for readers. But I do have a mission. I want to challenge my readers, to get them thinking, to leave behind semantic seeds that grow into fresh inspiration and insight. Thoughtful thrillers, provocative page-turners, intelligent intrigue—these are among the phrases that have been used to describe my novels. I want to raise questions more than offer answers. What is the nature of extremism and its connection with terrorism? Who are the good guys and who the bad in a world of shadow and deception? What are the unintended consequences of medical advances? And I want readers to have a great time and a grand ride on the road to the last page. 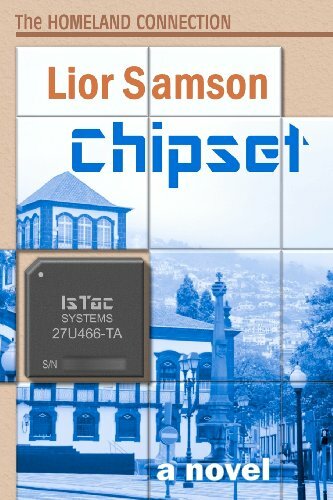 Larry: My most recent novel is Chipset, which is both part of The Homeland Connection series and can be read on its own. Readers who missed the first three novels — Bashert, The Dome, and Web Game — will not be lost, but those who go back and catch up will be doubly rewarded. Like its predecessors, the story turns on a real threat, in this case malicious computer code actually embedded in the very hardware on which the entire world now depends. Like the other novels, it centers on ordinary people thrust into extraordinary circumstances, not superheroes or larger-than-life figures, but people you could know dealing with outsized challenges. Let’s just say that Karl Lustig, an American technology journalist, and his British-Israeli wife, Shira Markham, a jewelry designer and all around smart lady, are in for an adventurous holiday when Karl uncovers a secret within the computer chipsets he is delivering to colleagues at the University of Madeira. Larry: I really like all my characters, even the bad guys and walk-on players are lovingly crafted. In Chipset, I have to admit to having developed a special affection for Karl’s mother, whose story-within-a-story in a packet of letters takes Karl back to World War II Poland, Germany, Portugal, and England. She was an amazingly resourceful lady, as Karl finds out. Larry: Perhaps it is the influence of my career as a designer, but I write much as a portrait artist paints, moving from one place in the canvas to another, filling in details here, sketching broadly there, painting over something that doesn’t look right one place, adding an element for balance someplace else. I make lots of notes but do not work from a strict outline. Instead, just as the painter steps back from the canvas, I keep going back and approaching the work as a whole, as a reader, taking on the perspective of the reader’s experience. Does it hang together? Is the pace and rhythm satisfying and engaging? Are there holes or is too much given away or at the wrong time? Then I go back and rewrite. And revise. And rewrite. Larry: Every writer, even those who mimic others, has a writing style. In my case, I confess to writing in a fashion that echoes not some particular writer or writers but broadly fits the sort of writing I like to read. I enjoy reading rich description, insightful exposition, and colorful, clever narrative. I like hearing the voice of the writer as well as of the characters. I enjoy the poetry of language, the music of well-crafted sentences, and the rhythm of flowing paragraphs. These are the things I aspire to. Others will judge how well I reach those aspirations. In any case, I strive for something more classical than contemporary, despite the thematic currency of my thrillers. And while we are on the subject of style, if I read one more self-appointed expert blogger cajoling modern writers to “show not tell,” I am likely to reach violently through the screen with malicious intent. It’s called storytelling for a reason. The language has adjectives and adverbs for good reason. The passive voice is useful. I see it as the writer’s job to master and use it all. I have always favored third-person POV because of its flexibility, but I have no religious orthodoxy about acceptable incursions into the inner thoughts of characters. I am more interested in spinning a good story than purity of viewpoint. I try not to throw readers for a loop as I take them around curves and through twists, but I am not writing to please some professor of creative writing. I am telling stories. 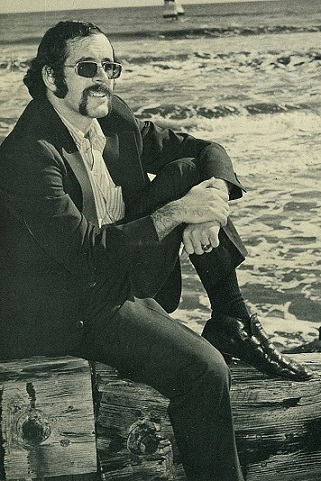 Larry: My environment and upbringing are as different as land and sea, but I suppose both have colored my writing. From my growing up, I would have to credit my mother, a newspaper columnist and editor, for instilling in me a love of words and a healthy respect for the craft of writing, in which it has taken me a lifetime to develop some craftsmanship. But my environment, which spans the globe and washes me with life’s complexities, is far the more direct influence. I often use familiar places to anchor my fiction. The Rosen Singularity is centered in the North Shore communities of Massachusetts near my home, but also in London and outside Moscow, where I have worked and visited numerous times. Chipset is largely set in Madeira, my second home. But I also go far afield, as far as the wholly invented African country of Busanyu, where the long lived dictator Edgar Jabari Mbutsu rules with brutal efficiency and plays a pivotal role in The Rosen Singularity. “Few thriller writers can match Samson’s ability to deliver a gripping story. In previous reviews, I have compared him to John le Carré and Tom Clancy. As an Indie writer, he probably doesn’t have the same name recognition or sales, but he is equal to or better than both those authors. 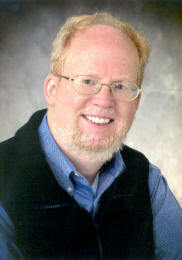 His work deserves to be on the New York Times Seller list.” That from mystery writer James A. Anderson. More than I deserve, I am sure, but to soar in such celebrated company, even for a paragraph, is delicious. Larry: I like that you end this question with a plural, because I have two novels in progress. I imagine that writers are not supposed to do that, but there it is, the confessed truth. I am just not ready to commit fully to one or the other. Both are quite daring, in a sense, and each represents an entirely new literary direction for me. 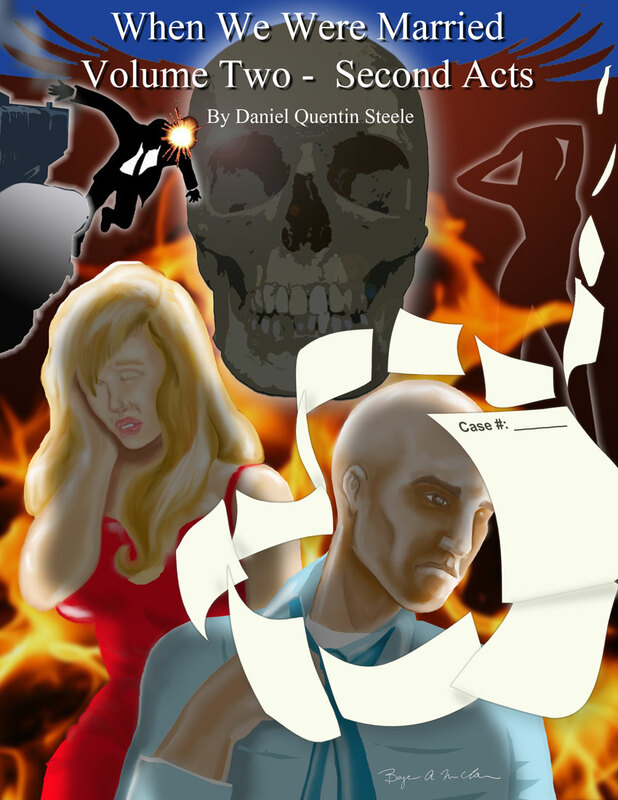 The one that has the tightest grip on me at the moment is my first murder mystery, although, as with my other works, it jumps the genre gaps and might be thought of as a love story except … Well, it’s still in progress, so exactly what it is remains an open question. Literary fiction? The other novel, which is also well under way but temporarily simmering on a back burner, is a work of quiet terror. So maybe it’s horror, except… These novels are quite experimental, stories that defy expectations and take the reader in new directions. I am excited. And scared. 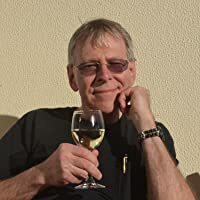 Larry: My author page at Amazon.com/Amazon.co.uk is the best jumping off point. And it makes it easy to purchase the books with One-Click! This is the third book in the Forever series. 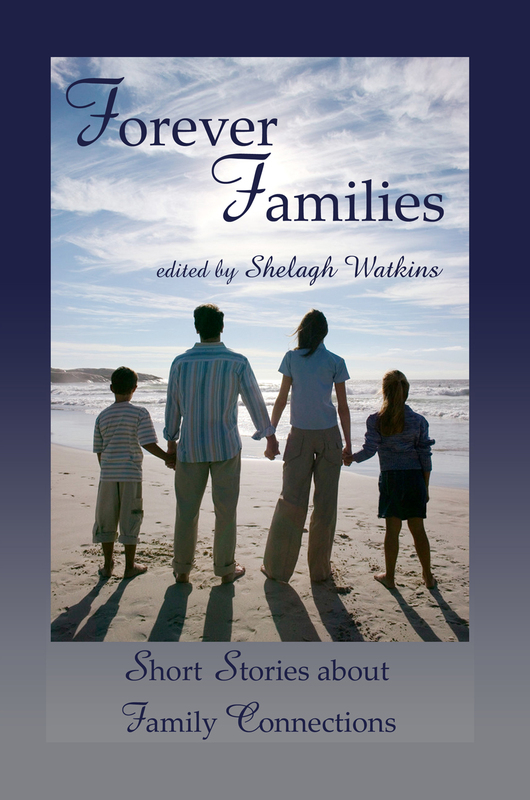 In 2008, Forever Friends, an anthology of short stories and poems written by writers from all regions of the world, proved to be very successful and so led to the second book in the series, Forever Travels, in 2010. Four years on, the revival of the short story continues, especially with all the new forms of electronic reading devices and the increasing number of online e-book retailers. There has never been a better time for readers and writers of short stories. As with the previous two anthologies, the attraction of this collection of work lies in its diversity and variety of genres: from non-fiction to creative non-fiction and fiction. With such a wide choice, there is something to entertain every reader. The length of the stories varies from concise to extensive. Every story, whether short or long, offers a unique look at family life. While some are poignant, others raise a smile. The seven sections that make up the book take the reader through the joys of a happy childhood to the sadness of a death in the family, with fond family memories, faithful family pets, risky family business ventures, eventful family weddings and the ups and downs of family life in between. So, find a comfortable chair, sit back and enjoy the diversity of reading experiences in Forever Families.